Congratulations to Booker for being named Traveler of the Year by National Geographic Traveler Magazine!! This inaugural award celebrates the accomplishments of ten travelers around the globe who are visiting far-flung places and doing astonishing things. At fifteen years old, Booker is the youngest of the winners and the only teenage traveler. The honorees for 2012 are boundary breakers, who explore the world with passion and purpose, inspiring others to expand their horizons, ask big questions and seek new answers. Click here to read Booker’s full interview. 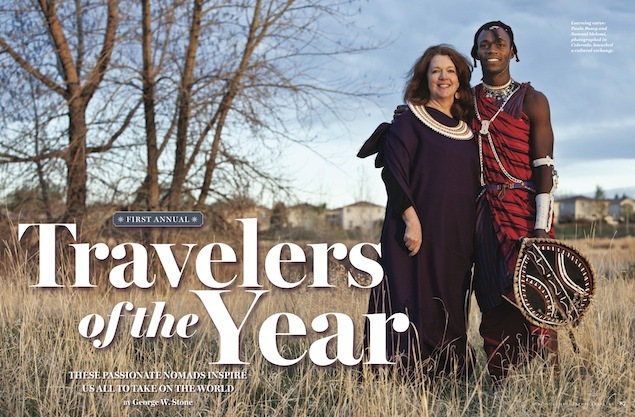 Or, to learn more about each Traveler of the Year through photos and interviews, go to http://travel.nationalgeographic.com/travel/travelers-of-the-year/. Be sure to check out the December 2012/January 2013 issue of National Geographic Traveler magazine, on newsstands Tuesday, Dec. 4. We need your support now more than ever. Help spread the word by liking us on Facebook and subscribing to our YouTube channel.